Athens native Peter Kotses has three fundamental passions: bicycles, streets and his community. Kotses, a 1992 Ohio University graduate and local business owner, is up for re-election as an incumbent of one of three at-large city council positions. Kotses, a Democrat, was elected in 2015, making this the first time he’s run for re-election against four other candidates. Of the five candidates who are running, three are on council currently. Kotses expressed interest in leading the transportation committee, an issue he has focused on heavily during his time on council. His passion for transportation within the city extends beyond council. 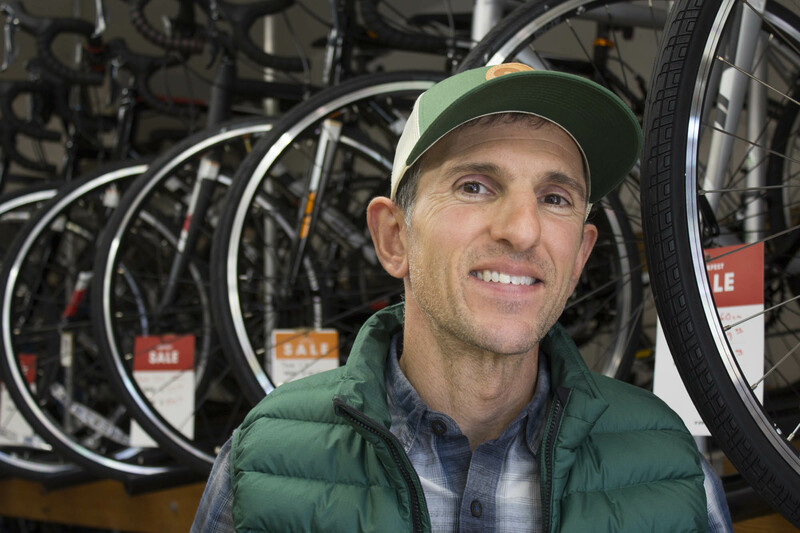 Kotses has owned and operated Athens Bicycle, 4 W. Stimson Ave., since it opened in 1998. Kotses said his business skills transferred over to his position as at-large councilor. Of his time on council, Kotses cites his proudest moments as the votes he casted in support of the Stimson Avenue roundabout and the bikeway extension bridge over the Hocking River. He made $7,919.55 in calendar year 2017 as a councilman. Kotses was born to an OU professor and raised in Athens. He lives in the city with his wife and 10-year-old daughter. He believes his 40-plus years of experience with the city gives him an advantage when it comes to being successful in his city council position. Kotses said he would love to continue to serve the city he loves if he is given the chance come Election Day on Nov. 7. The other at-large candidates are Sarah Grace and Noah Trembly and incumbents Arian Smedley, D, and Pat McGee, I. Originally published for The Post on Nov. 6, 2017.